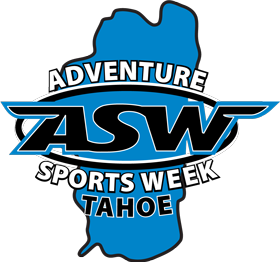 North Lake Tahoe, CA: Adventure Sports Week has arrived, Lake Tahoe’s premier outdoor lifestyle festival! Competitive events for those who like to get their heart pumping and also lots of other ways to enjoy North Tahoe, now through June 30, 2013. Challenge yourself by competing in one of the many races including trail running, mountain biking, triathlon, and stand up paddleboarding. Boost your training or try something new at a clinic, demo, or presentation. Then, relax and celebrate with movies, music, parties, tours and more! The Thunderbird Run Stand Up Paddle (SUP) Race kicked off Adventure Sports Week with an eight mile out and back paddle from Sand Harbor, down the shore and past the historic Thunderbird Lodge. Another competition that will spark the interest of the paddling community and other athletes is the Tahoe Waterman Challenge on June 30th. The Tahoe Waterman Challenge is a stand up paddle with a short run and swim, broken into several quick heats. “This event and course are designed so that those new stand up paddling as well as seasoned competitors can have a fun and challenging experience,” said Todd Jackson, event director. Register online for Tahoe Waterman Challenge and the other competitions to get the best prices. Big Blue Adventure will host over 25 races in 2013, including trail running, mountain biking, triathlon, stand up paddling, and swimming events. Each course offers an authentic outdoor “Big Blue” experience, highlighting the diverse and varied natural terrain and geographic regions of California, Nevada and the west. Experience the high desert, tackle the Sierra and Lake Tahoe region in all of its summer and winter glory, conquer the rolling golden hills and reservoirs of the San Francisco Bay Area, and survive the rugged Pacific Coast of Northern California. See www.BigBlueAdventure.com for more information, training tips, gear reviews and race reports.